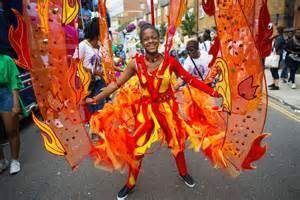 As my home city of Manchester gears up for an Olympic victory parade to celebrate the success of Team GB, here are our 5 best carnivals in the world! As the world’s biggest carnival the Rio Carnival Parade in Rio de Janeiro needs little introduction. The Olympics gave us a mere glimpse of the spectacular parties enjoyed during carnival time when the streets, squares, bars and clubs are filled with the rhythm of the samba. Next year’s Rio Carnival starts on Friday, February 24th and ends on February 28th, with the best schools parade again on Saturday, March 3rd. The Rio Samba Parade on the final day is a fierce competition between the Rio samba schools and if you want to throw yourself fully into the experience I suggest you brush up on your moves and order your costume, for the ticket of a lifetime ­– to march with a samba school at the most extravagant party of the year. Notting Hill Carnival, England If Rio Olympics’ carnival-inspired closing ceremony got you in the mood for a street party, there is one much closer to home this Bank Holiday weekend. Notting Hill Carnival is Europe’s biggest street festival, attracting about one million visitors each year. The festival, which has been an annual event in the area since 1966 is completely free and runs for two days 28 and 29 August. And just to get you in the mood this year there is a pre-carnival street party on 27 with live performances from the likes of BBC 1xtra’s Ras Kwame plus Scrufizzer, Uncle Dugs & Rachel Wallace, Ed West and DJ Amy C.
Cadiz Carnival, Spain For those with real stamina, the Cadiz Carnival in Andalucía is 11 days of non-stop partying. And to ensure you’ve got the energy for it, the area is host to a pre-party gastronomic festival. The festival, which takes place in February each year, is a vibrant street spectacle, but if you plan to go along prepare to be more than a mere spectator. Fancy dress is obligatory at the Cadiz Carnival, at least on the first Saturday of the celebrations and during the parades. 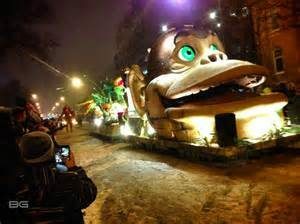 Quebec Winter Carnival, Canada From as far back as 1894 Quebec City has shaken-off the January blues with the world’s largest winter festival, which runs for 17 days from 14 January 2017. Mascot, Bonhomme, leads this family friendly experience with a range of activities over the festival period including exploring the ice palace, ice fishing, winter sports and dogsled races. In true carnival style it also has two night parades of impressive floats, bands, dance troupes and singers. We can think of no better excuse to dig out those furry boots and get marching. Carnival of Oruro, Bolivia For more than 200 years the sleepy mining town of Oruro in Bolivia’s arid Altiplano region of Bolivia has come alive for four party-filled days in February. By this time in the year the village’s craft workers have already started preparations making thousands of elaborate costumes, masks and decorations to be used during the event. On May 18th 2001, UNESCO declared Oruro Carnival a ‘Masterpiece of the Oral and Intangible Heritage of Humanity’. In 2017 the carnival will be held from February 25 to 28, when it is expected that crowds of up to 400,000 people will join in the celebrations, which ends on the Monday with a huge water fight so prepare to get soaked! Or simply take inspiration from our 5 best carnivals in the world….and consider planning your own Carnival party. 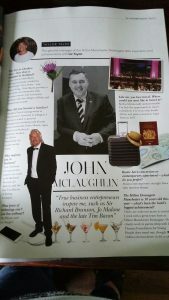 Thanks to the general manager of the Hilton Manchester Deansgate, John McLaughlin, for being our ‘man of mystery’ – and allowing himself to be interviewed by Liz Taylor for her ‘Taylor Talks’ column in The Cheshire Magazine this month. Coronation Street’s Cath Tyldesley is not only a great actress, fabulous friend, but a super-mum too. 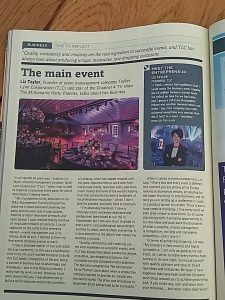 I took the opportunity to chat with her for this month’s edition of The Cheshire Magazine. 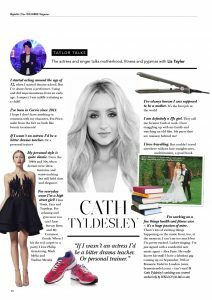 Grab a coffee, and the biscuits, and sit back for a great read……The Cath Tyldesley Interview by Liz Taylor! 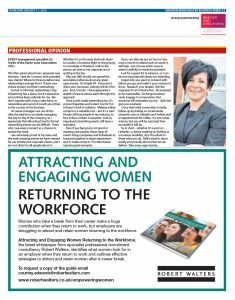 Thanks to the Manchester Evening News and the team at Pro Manchester for this plug on SME business tips and my philosophy on business networking. I do believe that any business, not matter how large or small, can use networking to develop business leads. I know how precious time is – so I don’t think of networking as something that you have to always attend an event to achieve. Yes, business breakfasts and the like have a place and can be valuable, but if you don’t have time to attend, simply seize every opportunity in your day to share what you do with somebody new. So many small business owners seem afraid to do this. Don’t be. Be proud.